Kenya Holiday House WordPress design. 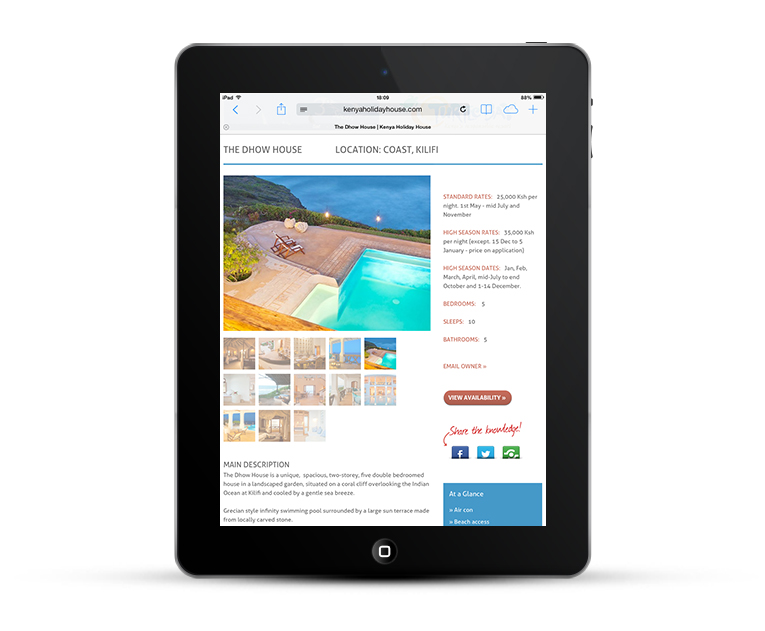 Web design for holiday rental agency, property search and listings with paid advertising. Thanks a million. Have paying advertisers coming in! Feedback on the look of the site has been amazing, everyone so impressed! Well done you!!! Another success! Tracey Rickard has created our second website for us, www.kenyaholidayhouse.com.  Our first website was a huge challenge, and as beginners to website creation she held our hands throughout the entire process and helped give us the knowledge and training with which to not only succeed, but tempt us to create another! We provided Tracey with a design brief for the website, which she not only delivered on, but exceeded our expectations. Tracey has the ability to translate the business concept from paper to website, and take it to another dimension, adding design excellence and attention to detail. With the added complication of being located in Nairobi, we have found working with Tracey a pleasure. No task or request was ever too much trouble and she has the ability to deliver on time and work to precise deadlines. Tracey has excellent work ethics and is a consummate professional. We wouldn’t work with anyone else! 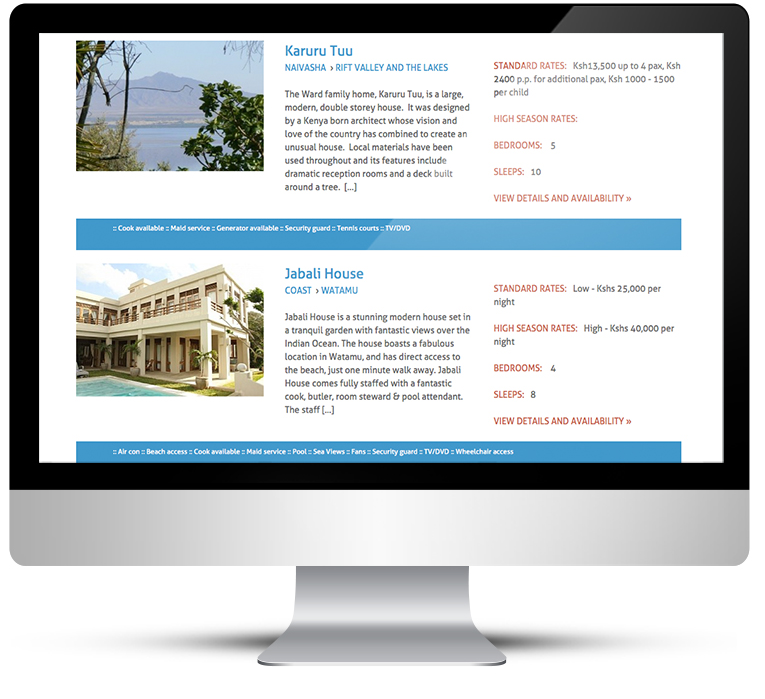 A holiday property listings website providing access to a full range of properties all over Kenya. Properties are listed for holiday rental by the owners direct. 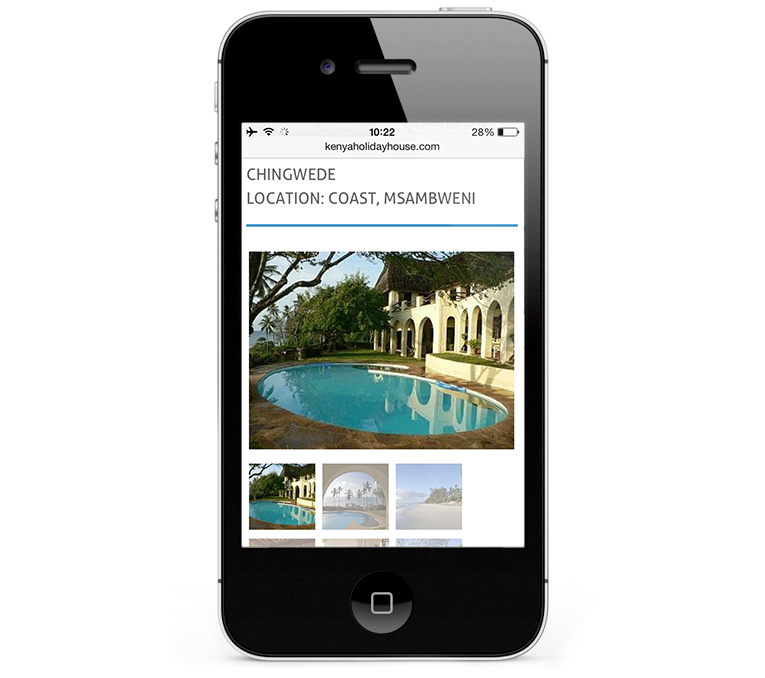 A brand new business for owners to advertise their holiday properties in Africa. 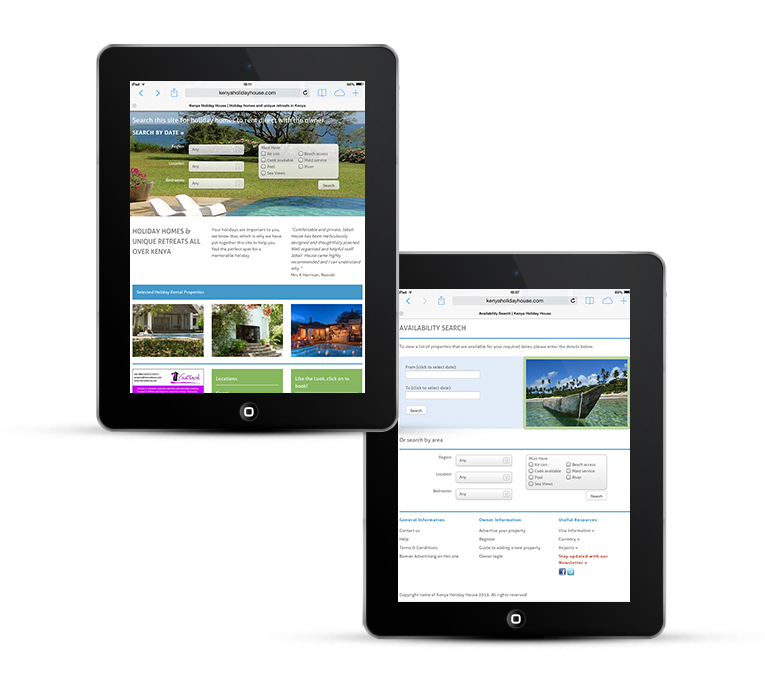 The principal idea was for owners to upload their own property details and manage their availability calendar, in a similar way to sites such as Owners Direct (but with a more appealing design). 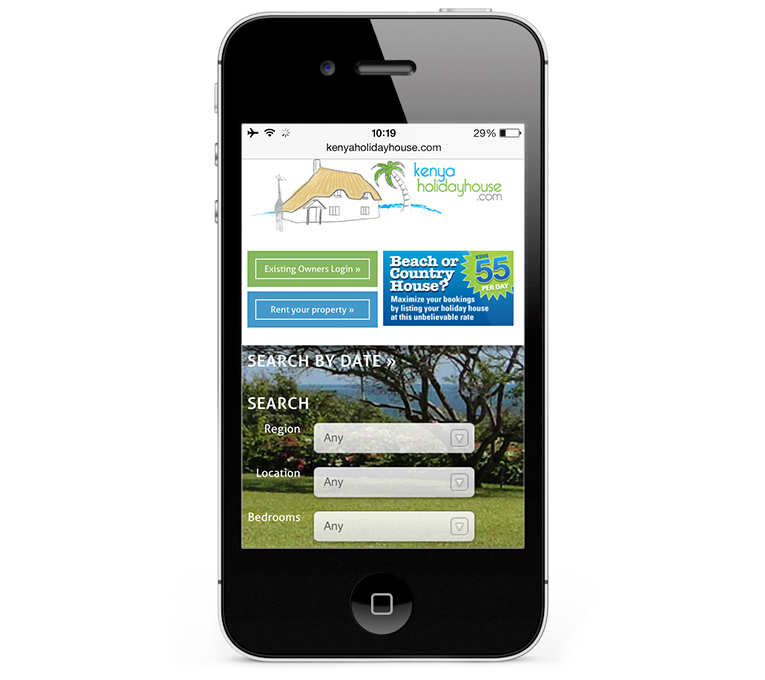 The brief was to provide a very attractive mobile friendly website with a holiday feel that was extremely easy for potential holidaymakers to navigate. The emphasis was to be on the quality of the presentation for each property. 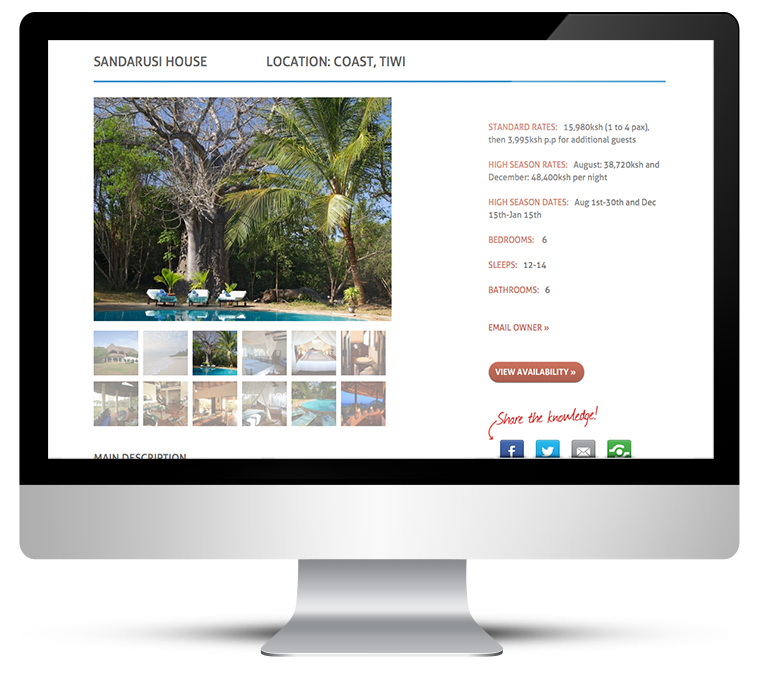 A WordPress design that includes a full screen image on the home page, which sets the scene for beautiful Kenyan holidays along with featured properties. 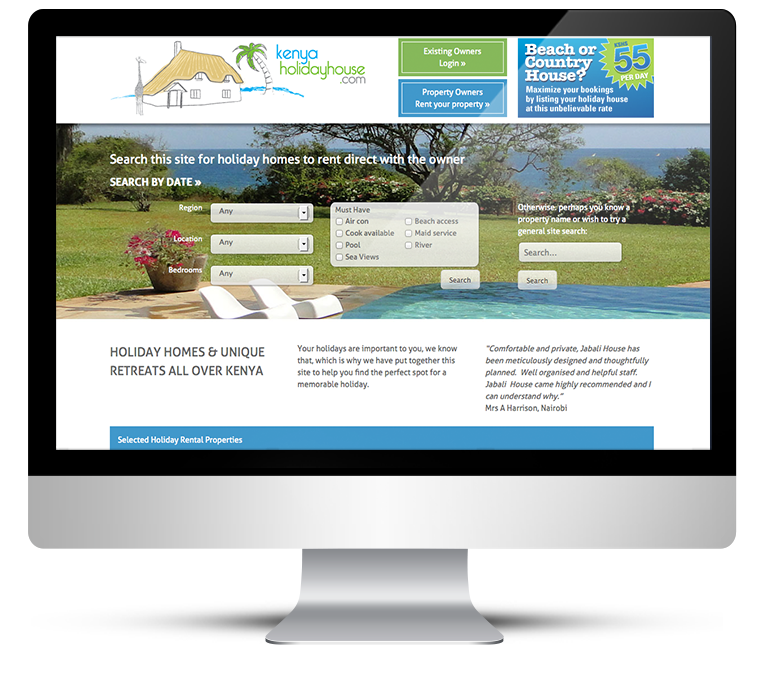 Kenya holiday house existing branding was blue and green, so the web design was created to blend. Visitors are able to search by location and requirements, by date or by keywords. Well presented, high quality property pages have lots of information and large image galleries, all laid out in a simple to read format. 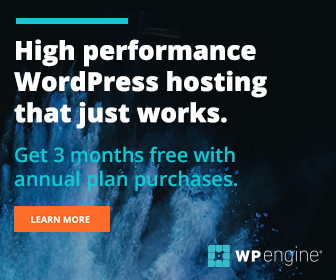 Through a branded WordPress login, owners can upload their own properties including photos, they also pay online for their listings. Calls to action are red to encourage visitors to click. 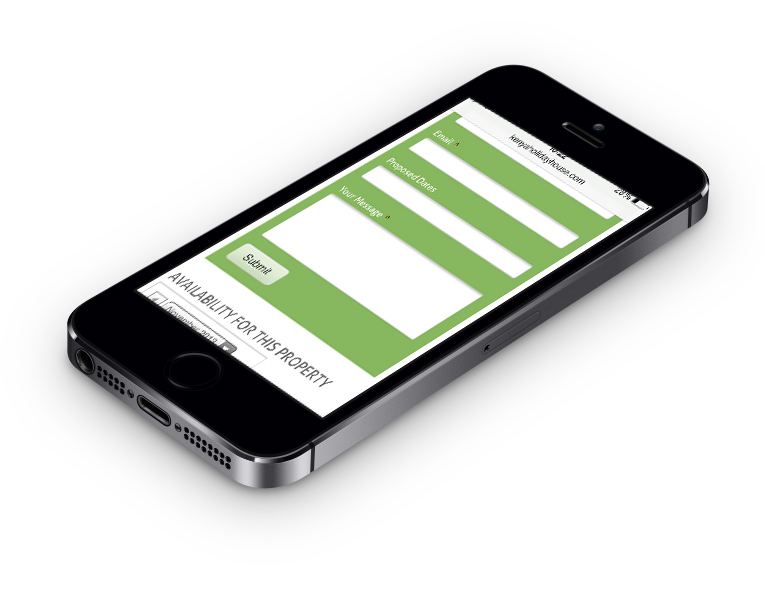 Property upload and calendar availability management by owners direct. Site administration must approve all listings before they go live. Properties are attractively displayed on their individual pages with thumbnail image galleries, at a glance features, clear contact information and availability calendar. Comprehensive and advanced property search. There are advertising blocks placed throughout the site, another revenue stream.